Located just off Greenwood Avenue and across the street from Pilot Butte, Lava Lanes has been a Bend fixture for years. Whether you view bowling as a pastime or a serious sport, Lava Lanes is the place to do it. Leagues are available for youths through seniors and Lava Lanes holds tournaments year-round. 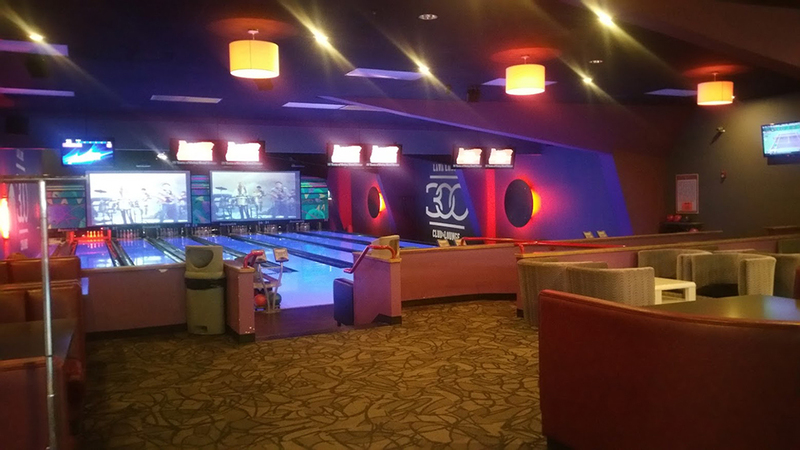 The 300 VIP Club lets you bowl in swanky style no matter what your average is. Because Lava Lanes wants everyone to have a great time, bumpers are available on all lanes so that young or novice bowlers can experience the thrill of taking down some pins. If you want to take a break from the alley action, the 300 Sports Bar has pool tables, an off track betting booth, beer, bar snacks, and multiple sporting events playing on multiple big screens. Lava Lanes is great for kids’ birthdays; bowling, pizza, and time in the newly opened game arcade adds up to party perfection. Lava Lanes is open from 10:00 a.m. – 10:00 p.m. Sunday – Thursday and from 10:00 a.m. – 12:00 a.m. on Friday and Saturday, and has special events throughout the week. Monte Carlo Bowling on Tuesdays could win you a prize, karaoke on Friday and Saturday nights lets you take the stage, and the ever-popular Cosmic Bowling on Friday and Saturday nights will have you bowling in psychedelic happiness.